29 September 2011 – Colombia is the latest country to join the Blue Heart Campaign against Human Trafficking, with the signature of a “letter of intent” between UNODC and one of Colombia’s biggest broadcasting corporations, Caracol. This corporate social responsibility agreement will heighten awareness of human trafficking among a wider audience, especially vulnerable groups such as displaced people and young women. The agreement includes support by UNODC for the development of the network’s forthcoming series La Promesa (The Promise),which tells the story of three women seeking a better future abroad but ending up as victims of human trafficking. The series will air in prime time from October to December and, along with other initiatives promoting the Blue Heart Campaign, will profile human trafficking as a matter of national priority. In a meeting with Caracol TV’s Vice President, Rosa Emilia Fonseca, Mr. Fedotov highlighted the importance of such partnerships in awareness-raising campaigns. “Television speaks to millions of people daily and is a key medium to drive home the dangers of human trafficking. It can be a potent force in preventing vulnerable people from falling prey to ruthless criminals,” he said, thanking Ms. Fonseca for her network’s support. The UNODC Blue Heart Campaign calls on all sectors of society to join the fight against what is a violation of human rights. The campaign aims to raise awareness of human trafficking as a modern form of slavery that exploits millions of people around the world and to prevent more people from becoming victims. A global issue, human trafficking is one of the most lucrative forms of crime after drug and arms trafficking. According to United Nations estimates, more than 2.4 million victims are currently being subjected to sexual or labour exploitation. Victims are also trafficked as domestic servants, for the removal of organs and to exploit children as beggars or child soldiers. Up to 80 per cent of all human trafficking victims are women and girls. More than 130 countries have reported cases of human trafficking. 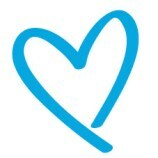 You can also visit our social media sites at www.facebook.com/BlueHeartHT (English), www.facebook.com/CampanaCorazonAzul (Spanish) and www.twitter.com/BlueHeartHT.